The photos are few this week, as I've been doing the single mom thing while Brian is away at a work conference. 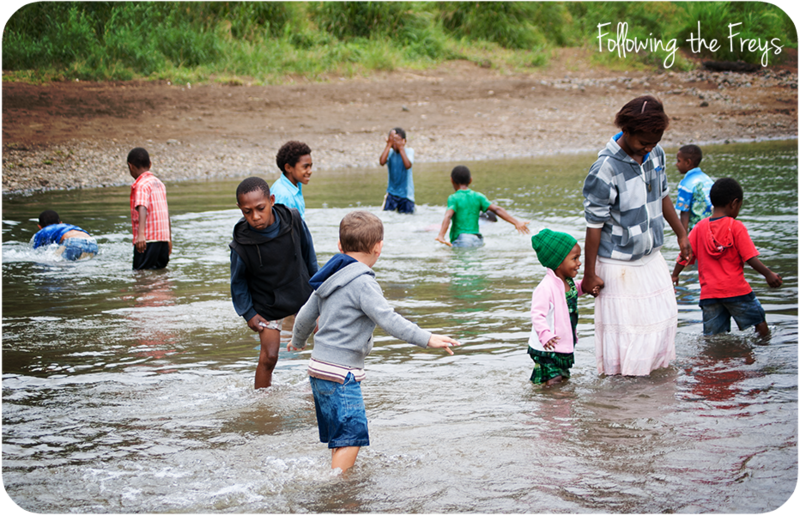 This past weekend we participated in a family Bible camp held by our church here in Ukarumpa. 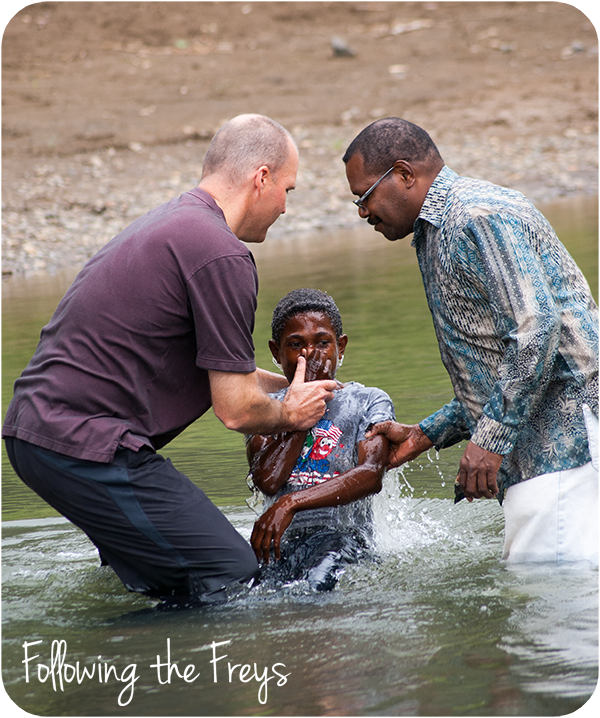 At the end of the weekend, five young people made the decision to be baptized, and so we gathered at the river on Sunday morning to witness. 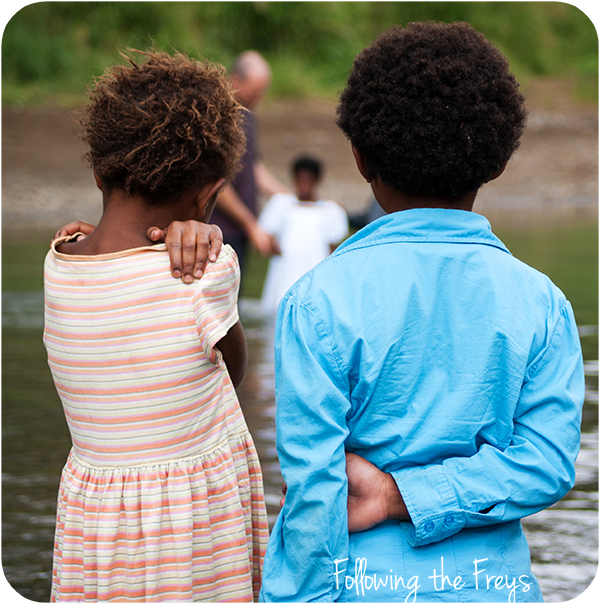 Two girls watch their friend being baptized. 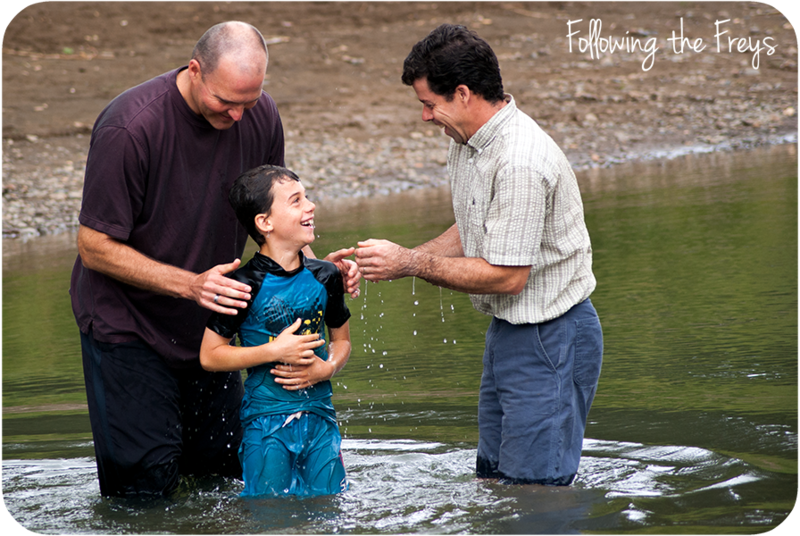 A father helps to baptize his son. 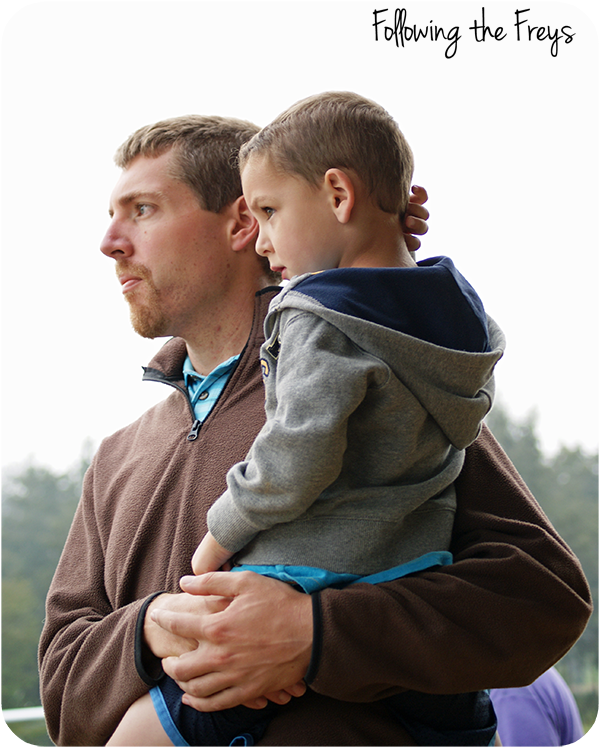 I just love the expressions of joy on the faces of father and son. Of course, Greg couldn't wait until it was over so that he could splash in the water with the rest of the kids. As you can see by the jackets, it was a bit on the chilly side, but that didn't seem to phase any of the kids. On Monday we took Brian to the airstrip and waved goodbye as he flew away. He is currently in Jakarta, Indonesia to represent our organization at a regional conference. Brian thinks it's funny to send me photos of good food that he is getting to eat and modern shopping malls and things like that. Meanwhile, back at the ranch, I am enjoying a week of minimal cooking with Brian gone. 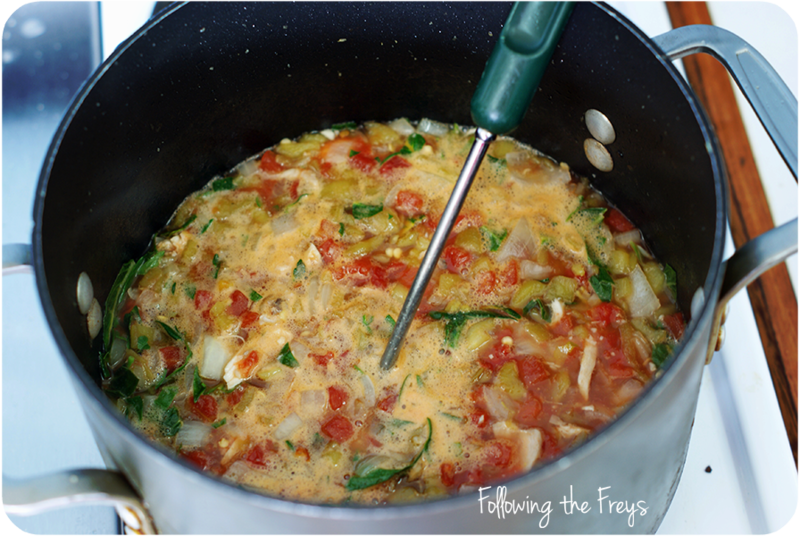 I made a big pot of soup for myself at the beginning of the week, and have been feeding the boys simple meals. Still, we are looking forward to having him back home in a few days!